Farming is in my blood...there is a family farm that my Uncle is currently running that has been passed down for generations in our family since my ancestors emigrated from Germany. 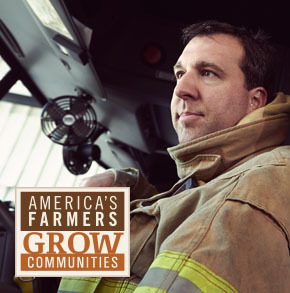 So I have always been a HUGE fan and supporter of America's Farmers and with my concern about what I am feeding my children increased over the years, I have really become interested in our country's farming practices! Today, I want to introduce to you a great farming family - the Pistorius Family - who, like us, have to balance life’s moments with the workload that comes standard with running the farm. Their family story really hit close to home for me, because like my uncle's farm, they grow organic produce. The Pistorius family has readily embraced the growth of agricultural science and technology, from programming that allows them to auto-steer their tractors to the devices that collect data about each individual acre of land. These improvements mean that the Pistorius family can grow more with less environmental impact. Recognizing the needs of different consumers, however, Pete has found a market growing organic popcorn. It’s an interesting challenge that the Pistorius family loves taking on, because most farmers never have the opportunity to grow such a niche crop. I love how they are trying to make less of an environmental impact with their farming practices and they are growing organic popcorn to keep our families and children healthy with a healthy snack! And make sure to check out this delicious Organic Carmel Corn Recipe using the organic corn grown by the Pistorius Family! 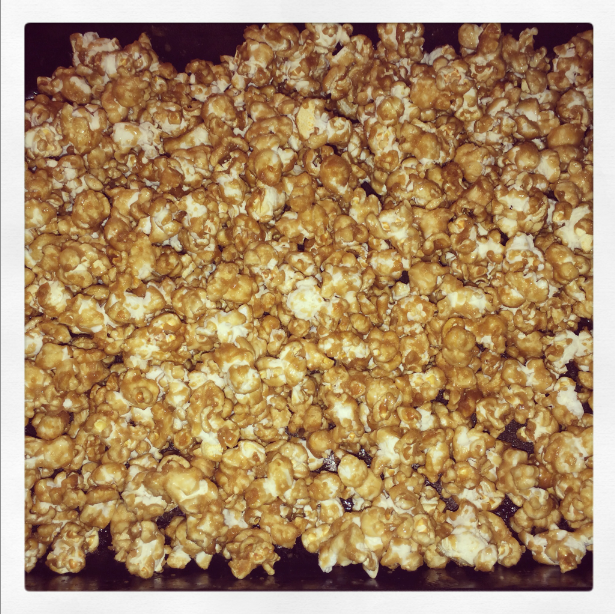 Use a popcorn popper & pop 20 cups of organic popcorn. Melt in sauce pan 2 sticks of butter, 2 cups of brown sugar, and 1/2 cup corn syrup. Bring to low boil about 5 mins. Take off heat and add 1/4 teaspoon of baking soda, 1 tsp. of vanilla, and a dash of salt. Mix 1/2 of this with the popcorn and then pour other 1/2 on top of popcorn. Cook for 1 hour at 250 stirring every 15 mins.